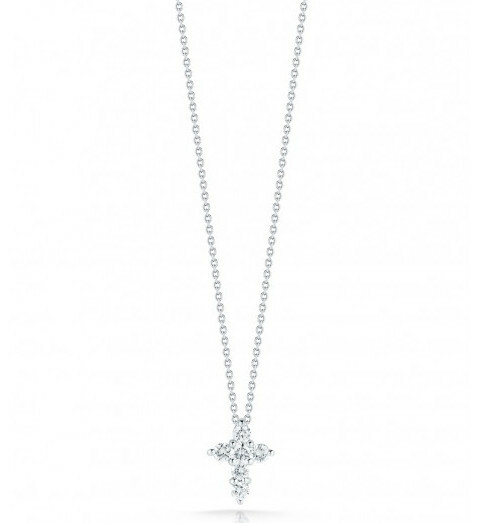 Roberto Coin presents this captivating diamond cross as part of the Tiny Treasures collection. Fashioned in glorious 18kt white gold, beautiful diamonds adorn the surface of the pendant that floats on an adjustable chain. 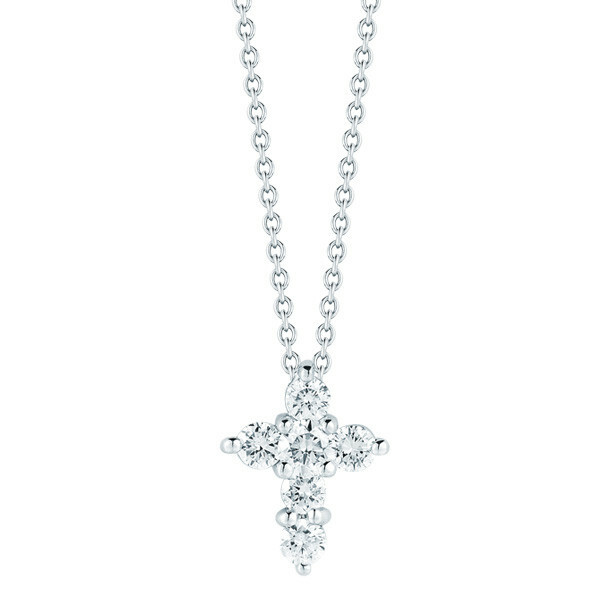 Let the Spirit sparkle through you when you wear this Roberto Coin cross.